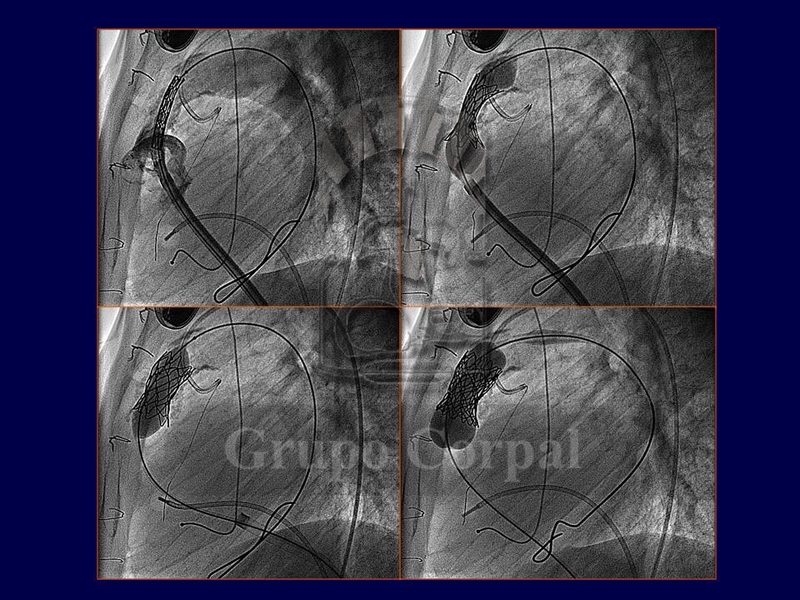 Percutaneous implantation of pulmonary valves, procedure. 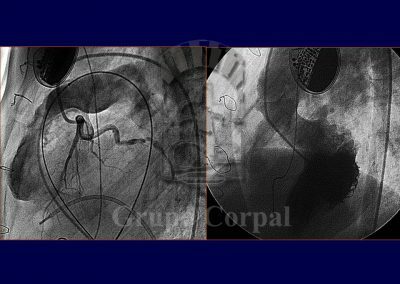 Since the turn of the century it has been possible to percutaneously implant a biological valve in the pulmonary position. What previously required surgery can now be achieved by puncturing the femoral or jugular vein. 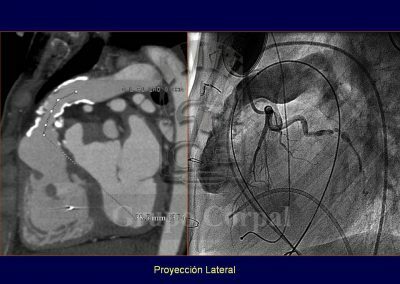 This transvenous access enables to take a cannula to the pulmonary artery through which a balloon catheter is inserted, installing a stent that, when the balloon is inflated, implants the valve in the correct position. The first valve was developed by Dr Bonhoffer from the bovine jugular vein, which has leaflets to favour venous return. 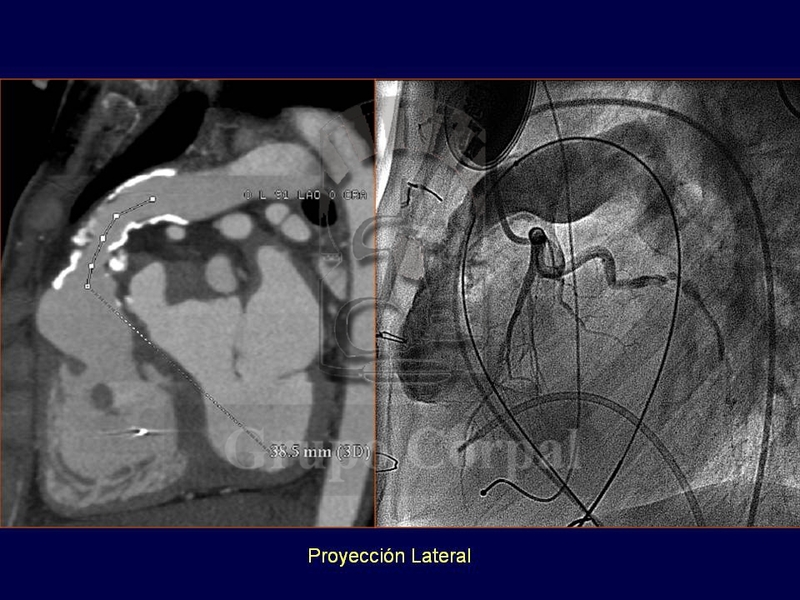 Other valves, such as that designed by Edwards for the aorta, are also being applied in the pulmonary position. 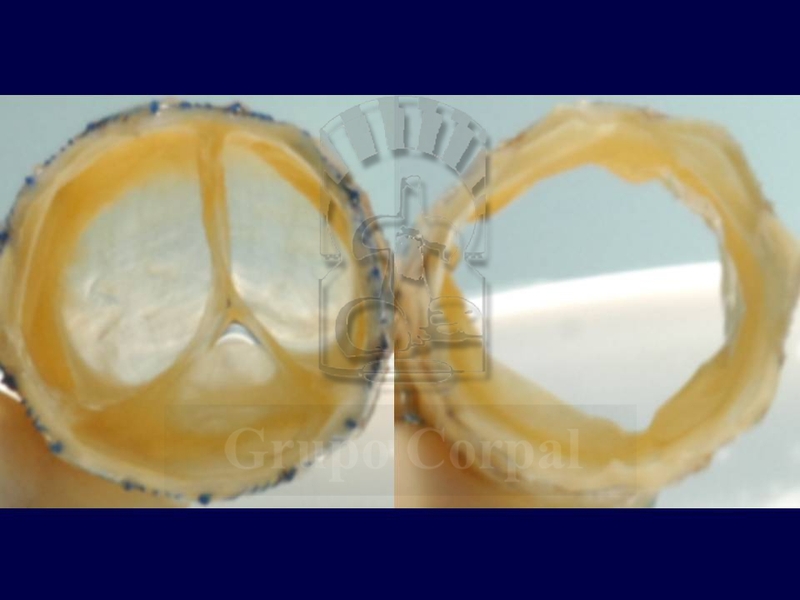 This valve (Melody) has been successfully used in degenerated homografts surgically implanted in children, adolescents or adults. 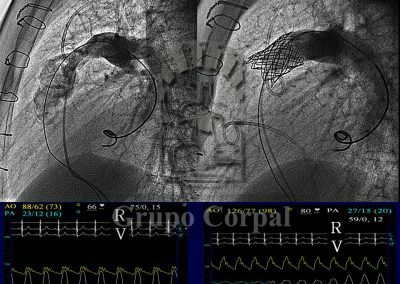 These homografts, or cadaver valves, are used in congenital cardiopathies with severe obstruction of the right ventricle outflow; they are very effective and in most cases function for a long time. 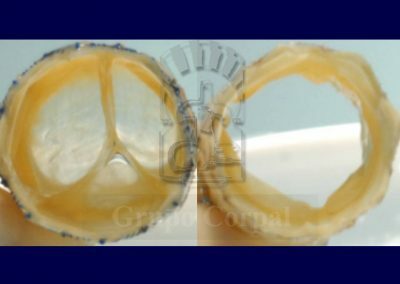 Homograft degeneration, however, can lead to the need for surgical replacement. 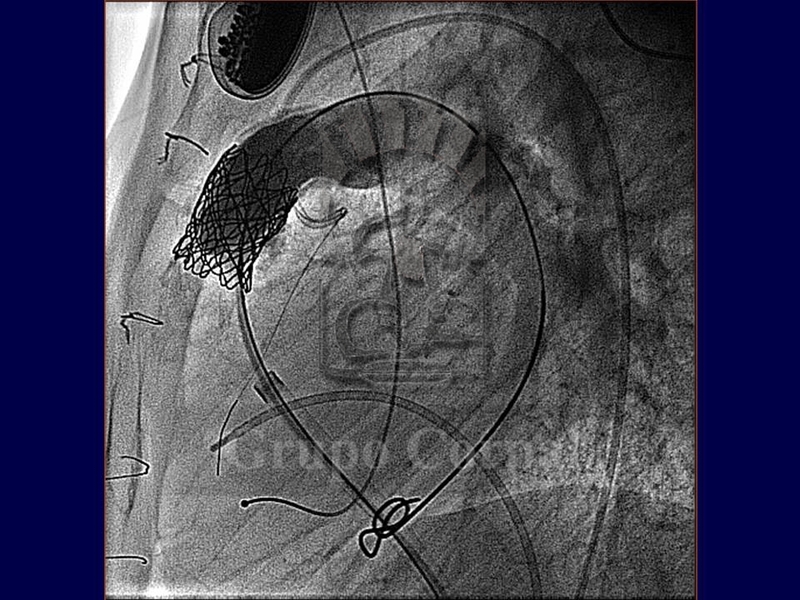 This creates a serious problem in these conditions, which require repeated surgeries to maintain the outflow patent. This problem appears to be solved with the Melody valve, which can even be repeated (valve-in-valve) if necessary. In young adult patients with aortic valve disease that require valve replacement, surgery has developed the Ross procedure, which consists of resecting the aortic valve and implanting the healthy pulmonary valve in the aortic position; the pulmonary valve is replaced with a cadaver homograft. This avoids the use of metal prostheses that require lifelong anticoagulation. 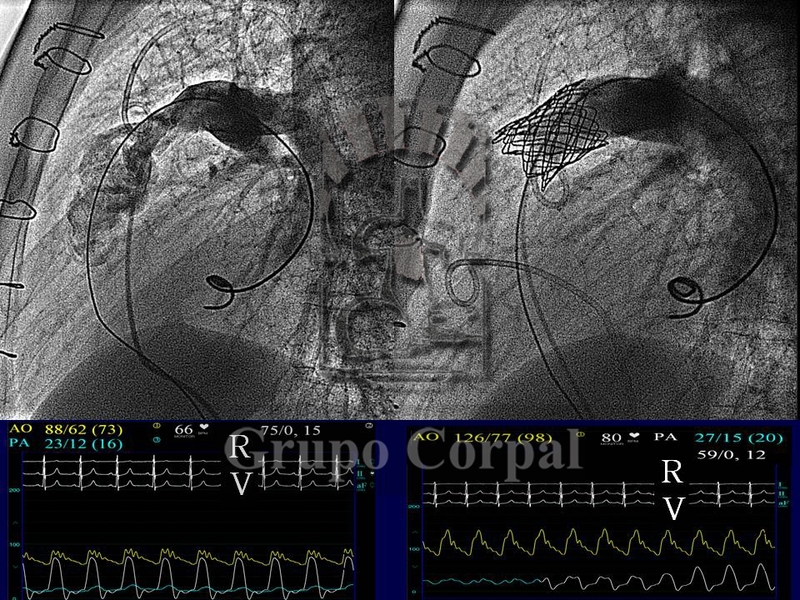 This intervention, however, runs the risk of possible homograft degeneration, requiring one or more re-interventions. Since the Melody valve is available, these young patients are successfully treated percutaneously. For all indications, the implantation of a percutaneous pulmonary valve requires a precise anatomical study beforehand, to study how the right ventricle outlet is related to the coronary arteries, as if they are too close together, the coronary flow could be compromised during the procedure. These studies can be conducted with CT scans or angiography (Figures…). 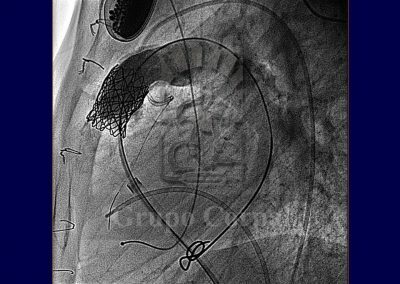 Although these are the conditions currently indicated for pulmonary valve implantation, they will soon be indicated in other conditions, such as pulmonary valve insufficiency in patients who have undergone surgery for Tetralogy of Fallot with enlargement of the pulmonary ring, which is common in this serious congenital cardiopathy. 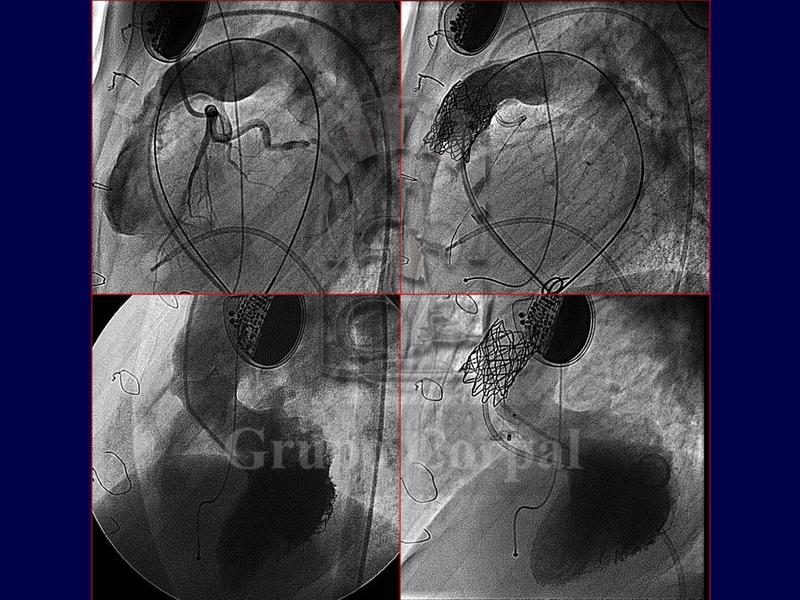 The problem is that percutaneous valves currently require an anchorage point for the stent, so they cannot yet be used for valve insufficiencies that are not associated to stenosis or significant calcification. New designs are, however, under development.